Do you like Slash Arena? Share it with your friends. 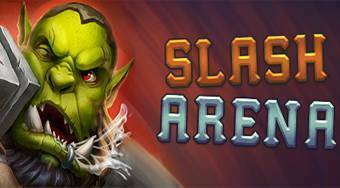 Slash Arena is a deluxe multiplayer fighting game in which you will reward your strength against other players around the world. Move around with your hero around the playing area, turn around, and kill the other players with your weapon. Collect fruits and sweets to add energy and buy upgrades for points you earn.